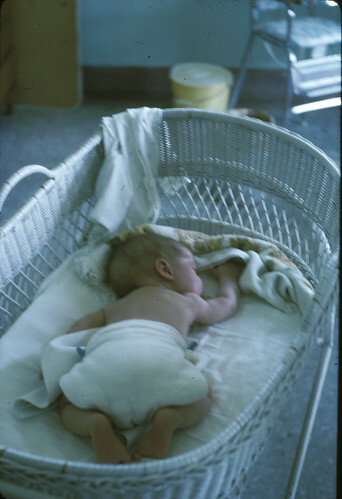 Me at about one month old, in Taipei. Photo © 1964, 2013 J. Lake. Reproduced with permission. what a blissful, rest-full image. reminds me of my own offspring, so diapered. however, they never had such a spiffy wicker crib. thanks for this memory, from another hemisphere.